are a few before and after photos. 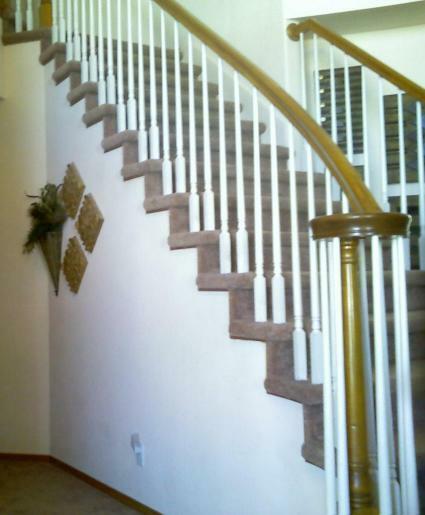 tread and riser end caps and updating to iron balusters gave this stairway a complete new look. to a sleek stainless steel railing system made this stairway the focal point of this home.